There’s a lot of confusion about what the settlement reached between the City of Hamilton and Mark Richardson means. On its own, the settlement means little. It does not end the OMB hearing, it merely removes Mark Richardson as an active appellant, leaving the City to argue against the remaining appellant Robert Dobrucki. Viewed in isolation, the settlement looks to be a victory for Council – it does little to advance equitable representation, protects incumbent friendly boundaries, and fulfills Council’s preference for a City divided along former municipal boundaries. This short view is why Council approved a settlement which significantly undermines their primary arguments, and sets the stage their defeat at the OMB. They are seeing a short-sighted victory that effectively maintains the status quo, with only one noteworthy change in the settlement from Council’s original gerrymandered boundaries – the move of Ward 1 Poll 103 into Dundas’ Ward 13. The noteworthy change may seem insignificant, and the relatively unknown Robert Dobrucki may seem on paper an unworthy opponent to the City’s expensive legal team and paid experts. The moving of Poll 103 sets in motion a series of arguments which severely undermine the Council’s legal position. Dobrucki – while an unknown to us – is respected in municipal academic circles as a leading mind on municipal political boundaries. In short, Richardson wisely allowed Council to walk themselves into defeat, and with his legal counsel Craig Burley won a significant victory that is not readily apparent. 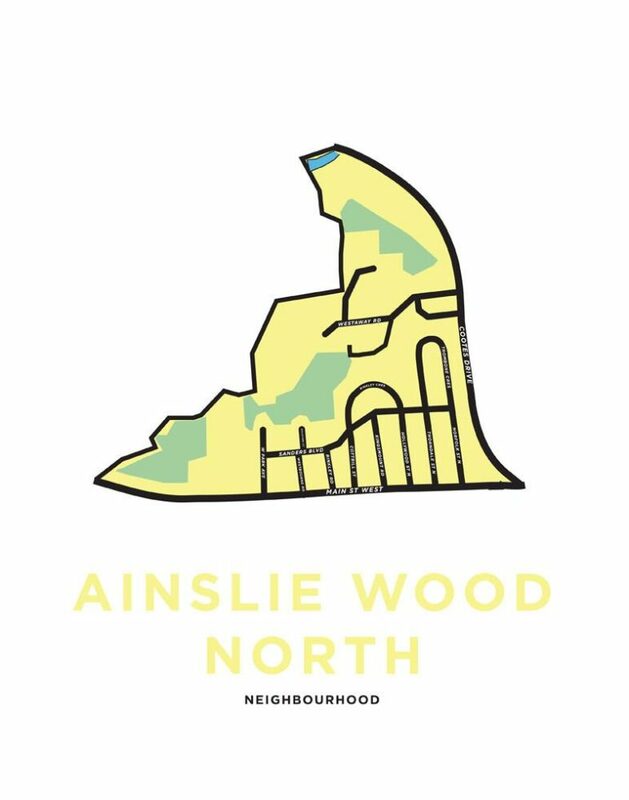 A map of West Hamilton’s Ainslie Wood neighbourhood. 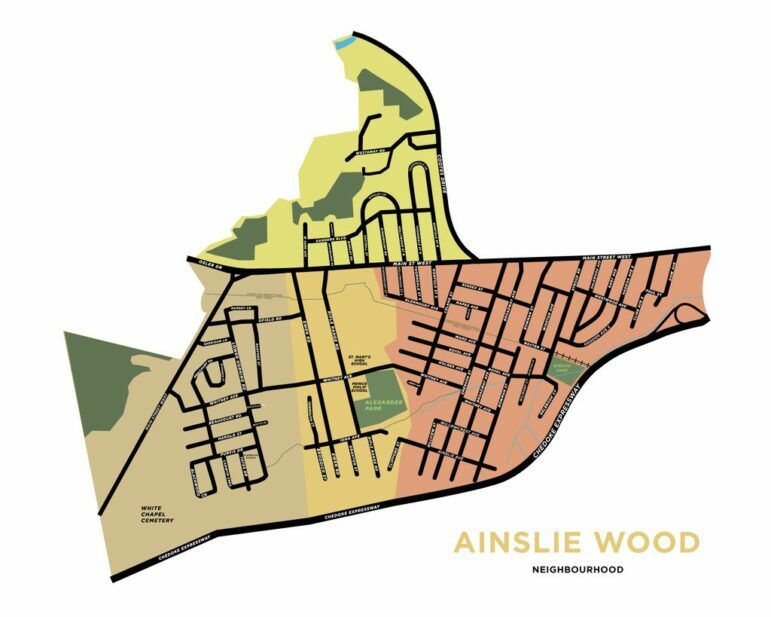 Poll 103 is the portion of Ainslie Wood north of Main Street East and west of McMaster University. For Council, moving this population into Dundas enables a major shift of population into Ward 13, protecting incumbent Arlene Vanderbeek’s suburban seat without the risk of changing the political balance of the ward. The seemingly safe political assumption being that McMaster students can be ignored because they don’t vote anyway. Council primary argument for maintaining disproportionate representative weighing in favour of the seven suburban wards is they form a separate “community of interest” from the urban wards with unique needs, unique taxation (area-rating), unique history, and unique local identities which significantly differ from those on the other side of the former municipal boundary of the old City of Hamilton. The term “community of interest” stems from the 1991 Supreme Court of Canada “Carter Decision” in which the Court determined that the Charter of Rights and Freedoms mandates “effective representation”, not necessarily equal representation. The Court held that factors such as geography, community history, community interests, and representation of minorities can be weight in the creation of political boundaries. 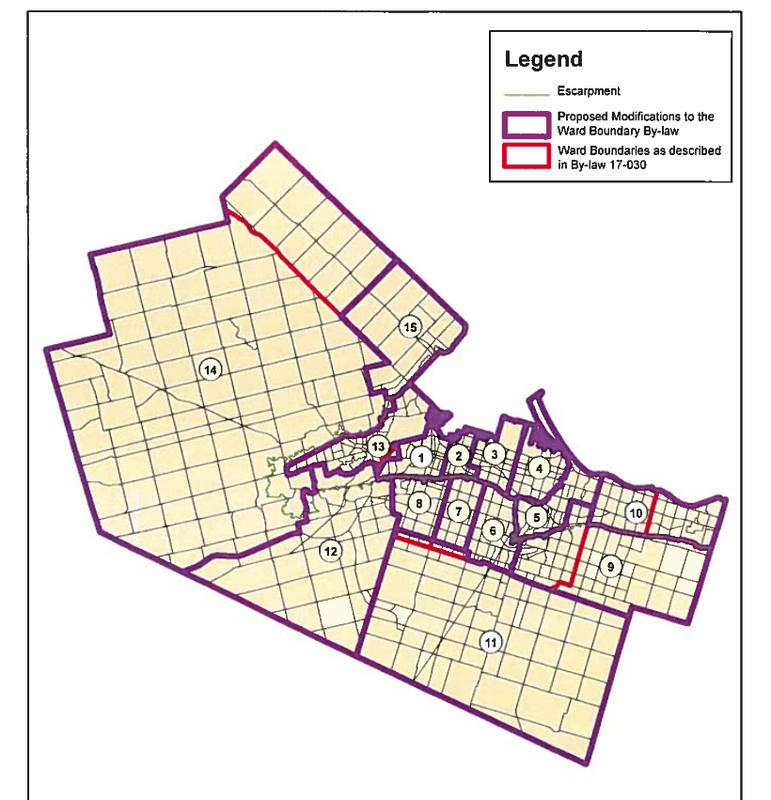 The Ontario Municipal Board considers the Carter criteria when considering appeals of ward boundaries. The OMB ruled in its 2013 review of Kingston’s ward boundaries that post-secondary students are a community that must be counted and considered in determining ward boundaries. Sutherland wrote students require representation from municipal councillors. She wrote their average nine months of residency each year “does not mean that they do not use City services, have no issues to bring to their local government, and do not create issues for others to bring to their local government” [para 24]. Sutherland ruled students are not just a community of interest but also a minority in a municipal ward context “Certainly post-secondary students represent community interest as well as a community of interests and minority representation” [para 40]. The Board ordered new ward boundaries that included student population in its calculation, and a ward that enabled students to have effective representation (if they ever bother to vote in sufficient numbers) on Kingston’s City Council. In the same ruling, the Board held the City could not split a long standing neighbourhood district due to the effect on its neighbourhood association. Does the Student Community of Interest Need to Be Split to Protect the Suburbs? Council’s primary argument is that in order to protect rural and suburban Hamilton, those communities combined must have an effective veto over the more urban former City of Hamilton. While both Hamilton’s rural and lower-density suburbs deserve effective representation on Council, effective representation does not require they have an objectors veto. Each of the proposed boundaries have included wards that were largely rural, and other wards that serve to ensure representation of the low-density suburban form on Council. There is no overriding reason that the McMaster student community must be split between Ward 1 and 13, in order to allow Dundas to exists as one of the smallest wards by population, alongside Wards 14 and 15 as having the smallest populations. The harm done to the ability of students to achieve effective representation by voting is significant. The Dundas Councillor has no reason to effectively represent student interests as the students are a small segment of Ward 13 with their potential votes (even if they voted at the average of 40%, which they do not) diluted among 30,000 residents of Dundas. 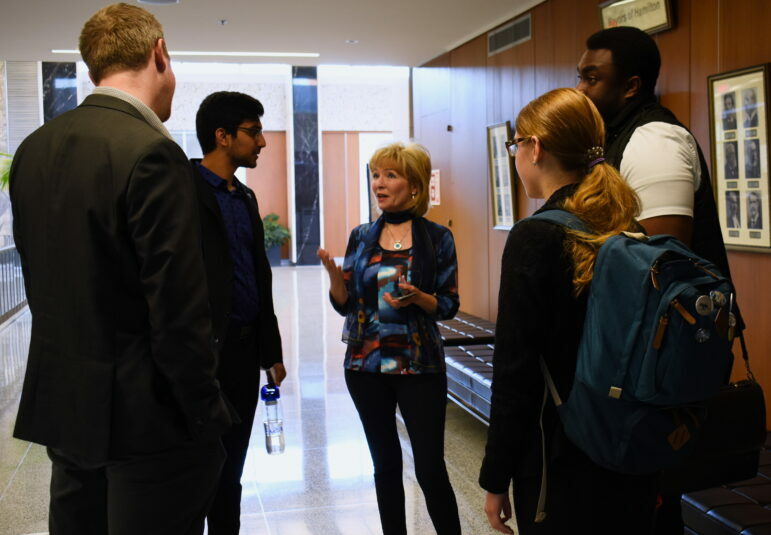 West Hamilton Ward 1 Councillors have traditionally under-served the student population, as they don’t vote and McMaster Students Union leaders infrequently engage in representing student concerns to the municipal government. Last year saw MSU Vice-President Education Blake Oliver begin to effectively engage with the municipal government. This year, MSU President Chukky Ibe is advocating on student issues, and beginning voter education efforts in preparation for the October 2018. Council’s decision to sever a large portion of the student population severely frustrates the efforts of the MSU to gain effective representation, and in light of the Kingston decision, the OMB cannot allow this split to stand. The remaining appellant, Robert Dobrucki, a Dundas resident, is the stronger appellant in this case. He is better versed in this specialized area of municipal law, and analyses municipal boundaries as a passionate amateur. A lawyer, Dobrucki works for a major labour union as a negotiator. He’s appealing in his personal capacity. Dobrucki is extremely knowledgeable on the OMB case law regarding political boundaries, and will argue a strong case. The City’s hired lawyer Steven Ferri is one of the leading municipal lawyers in Ontario. Dobrucki is his equal in the forum of the OMB. At the initial pre-hearing in August, Ferri was dismissive towards Dobrucki, which drew a not-subtle correction from the presiding OMB Executive Chair. This dismissiveness, and Dobrucki’s low profile has likely caused Council to under-estimate Dobrucki. In its news release announcing the settlement, Council declared they will seek the OMB to dismiss Dobrucki’s appeal and implement their settlement. The OMB will not be doing so, not only because Dobrucki will have prepared a substantial case requiring review – it was City Councillors Judi Partridge and Terry Whitehead who attended the OMB in person to demand the hearings be longer and more open to public participants than is routine for the OMB. The OMB would be – in the terminology used by Partridge and Whitehead – undemocratic to not conduct the full hearing. There’s an irony in these Councillors’ political posturing preventing Council from getting the quick win they seek. 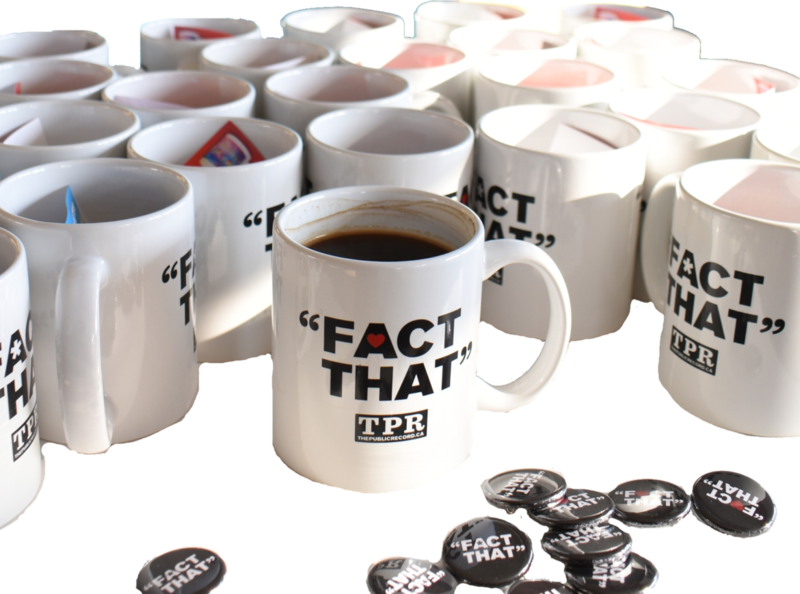 Last fall, Rob Dobucki was on The Public Record Radio Show to discuss ward boundaries. I had sought an academic to speak to boundaries from a learned perspective, three of the academics I contacted recommended Dobucki – stating he could speak from a more informed perspective. Since my first introduction to Dobucki, I’ve learned a little bit of how extensive his networks run among municipal political professors, social researchers, and geographers. He has pro-bono access to experts who are assisting him to prepare a strong case. It could be my East End roots speaking, but I’d rather have Dobucki’s grassroots network than a team of well-paid Toronto lawyers. Dobucki’s arguments will likely include detailed research such as the recent paper presented at the Canadian Political Science Association conference which shows Hamilton’s present ward boundaries has one of the worst effects for diminishing the votes of visible minorities due to the over-representation of majority white suburban areas. Mark Richardson’s settlement is a significant victory for Dobucki’s case against Council’s gerrymandering. By agreeing to the new boundaries, Council has acknowledged that their original boundaries are flawed. In attaching that portion of Ainslie Wood to Dundas, Council removed all of their tax and different political interest arguments for maintaining the existing Hamilton/Suburb divide. Geographically, Poll 103 – North Ainslie Wood is significantly separated from Dundas by a combination of major roadways, high-voltage hydro corridors, and river creek valley. The decision to ignore these geographical features eliminates Council arguments that suburban communities deserve over-representation due to geographical features. Council’s political self-dealing has come back to bite them. On the surface, the Richardson settlement looks to be a “surrender” to Council. Richardson was criticized on social media for making it. Yet for all the social media criticism, it was only Mark Richardson who stepped forward from the active social media pundits to actually file an appeal. On these grounds alone, many of the critics had little standing to complain – they didn’t file appeals. Lawyer Craig Burley, who took on the case pro-bono representing Richardson, has taken some negative feedback in his own community of Ainslie Wood for allowing the divide of the neighbourhood. It’s the nature of the OMB process that neither can provide comment outside of their tame statements about the settlement. By backing away, and gaining concessions from the City, both have “taken one for the team” and set the conditions for Dobrucki to win the ultimate goal – fair representation for Hamiltonians with political boundaries that force politicians to start providing vision instead of peddling division. Hamiltonians owe them a debt for their service to advancing our democracy. An earlier version of this article stating Dobrucki was a non-practicing lawyer. In fact, he is practicing. The appeal is his personal capacity and not in his professional role. The Public Record's liveblog coverage and analysis of the Ontario Municipal Board's review of Hamilton City Council's ward boundaries.